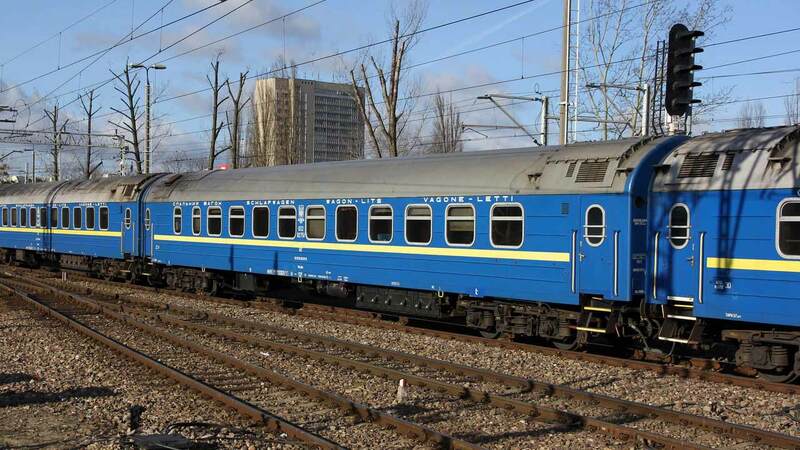 did someone ask to international desk of UZ or in railway station international ticket office: when the booking for new sleeping car wien - kyiv and return will be open? and how much does the ticket cost? which answer? more in general ,i am wondering why is not yet possible to buy UZ international tickets online? at the moment only Kyiv-Przemysl is available online and is something recent. i ve already traveled in UZ cars to ukraine from abroad (western europe) and return, and i would like to do again, because i found really good way of traveling. Still no information, no prices. I call them every day. Maybe you can ask ÖBB better? U know the problem is that UZ remained very soviet-oriented structure, that's is why objectively logical questions as u have are not logical for them. While u r trying to build some plans, UZ might open tickets selling even the day before the car runs. Moreover, I'm sure ur message in fb would have no answer as UZ is not digitally developed (rather doesn't have such desire to develop), while they post there some unnecessary statistics etc. The only recommendation to u is to wait. Once anyone of us has any info regarding this topic and not only, it is posted here. I wrote them at Facebook several times. They answered to me only once and just about schedule. I think that they have no information themselves (just 'thinking' about price and so on). Of course, it`s only their fault but I hoped that maybe they gave some information to their partners (OBB, MAV). Самый эффективный способ для общения с УЗ - это писать через ukc.gov.ua. Об этом недавно А.Рудоманов писал на своей странице. Преимущество в том, что хоть не нужно на почту ходить и бумажные письма отправлять. Также можно позвонить на тел. 1545 (но это только из Украины) и рассказать чего Вы от УЗ хотите. Ответить они будут обязаны, т.к. обращения и запросы через эти сервисы находятся на контроле в правительственном контактном центре. They answered to me only once and just about schedule. I think that they have no information themselves (just 'thinking' about price and so on). Their answers are usually typically nonsensical and useless. UZ and to be correctly informed are completely opposite things. Instead of direct answer to "what colour is it" question, they may just advice you to eat more carrot - not the very right example, but the idea is. Интересно какие вагоны будут в этом поезде?